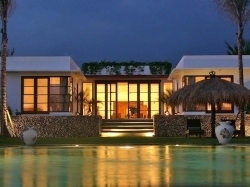 Inspired by culturally rich and exotic places throughout Indonesia, this 5 bedroom villa is a privately owned, luxurious beachfront property featuring an innovative design that defines the relationship between nature and functionality. 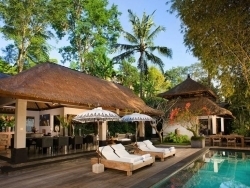 Inspired by culturally rich and exotic places throughout Indonesia, this 6 bedroom villa is a privately owned, luxurious beachfront property featuring an innovative design that defines the relationship between nature and functionality. 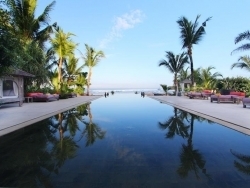 Inspired by culturally rich and exotic places throughout Indonesia, this 7 bedroom villa is a privately owned, luxurious beachfront property featuring an innovative design that defines the relationship between nature and functionality. 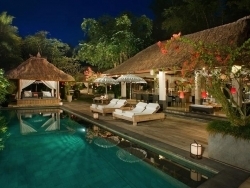 This 5 bedroom beach front villa is located in the district of Tabanan on the southwest coast of Bali, near Tanah Lot’s temple, one of Bali's most sacred and most visited tourist site, an hour from Denpasar International Airport. 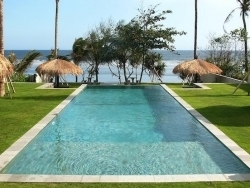 This 4 bedroom beach front villa is located in the district of Tabanan on the southwest coast of Bali, near Tanah Lot’s temple, one of Bali's most sacred and most visited tourist site, an hour from Denpasar International Airport. 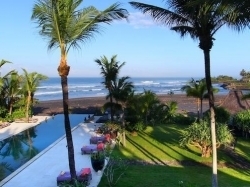 This 3 bedroom beach front villa is located in the district of Tabanan on the southwest coast of Bali, near Tanah Lot’s temple, one of Bali's most sacred and most visited tourist site, an hour from Denpasar International Airport. 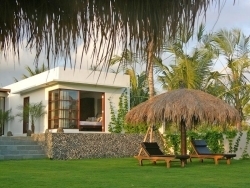 This 2 bedroom beach front villa is located in the district of Tabanan on the southwest coast of Bali, near Tanah Lot’s temple, one of Bali's most sacred and most visited tourist site, an hour from Denpasar International Airport. From the moment you descend the steep stone staircase that carves its way down the river gorge, this 4 bedroom villa will captivate you with its beauty and tranquillity. From the moment you descend the steep stone staircase that carves its way down the river gorge, this 5 bedroom villa will captivate you with its beauty and tranquillity. From the moment you descend the steep stone staircase that carves its way down the river gorge, this 6 bedroom villa will captivate you with its beauty and tranquillity. Offering a complete escape from busy city life, this 3 bedroom villa will charm guests with stylish interiors, gorgeous gardens, modern facilities and an extraordinary amount of private space, complemented by a full team of caring staff.